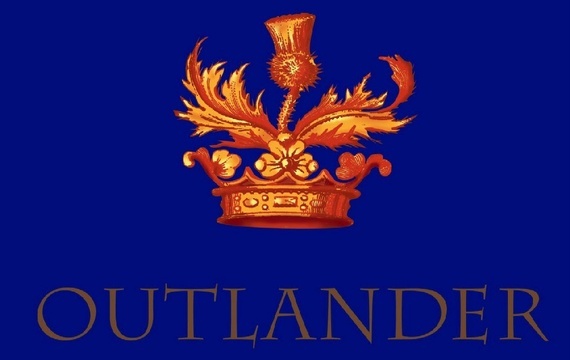 I’m not very experienced with Twitter, and I can’t exactly say I like the site, but WE ARE OUTLANDERS! Yes, we want as many people possible interested in the story, for its own sake, for Herself (to insure she NEVER thinks her fanbase is waning, and decides to end the series – may Bride forbid! ), and to get as many viewers possible watching and loving the miniseries, so that STARZ turns it into a full, multi-year series following the books as faithfully as they can, short of re-inciting any remaining Jacobites into another rising (since so many people have traced their lineage back centuries, many finding they have stronger claims to the British throne than the present Windsors). But also because WE are the ones who, in many cases, fell in love with these books when or soon after Outlander was first published; have re-read copies until they fell to pieces, then bought another (or in one desperate situation I feel terribly guilty about, lied to the library about losing the book, and paid them the cost of it); and despite our particular bloodlines – in THIS life, at least – having no Scottish heritage whatsoever, still pepper our conversation with Scottish words and phrases, and sometimes attempt to use a broad Scots accent! Little could p!ss me off more than to see that these Twitter readings take the participants off in a totally wrong direction, possibly misinterpreting parts and focusing on the salacious rather than on the story as a whole. We owe DG, Jamie, Claire and the entire family better than that! I suggest that any of us who are so obsessed- uh, I mean committed to all things Outander that we’ve joined Outlander fan sites, buy Outlander-inspired jewelry, and talk husbands into taking trips to the Scottish Highlands, at least monitor these readings and be prepared to re-focus the conversation (if that word applies) if need be. I’m not sure who I’m asking this of, but to whoever posted this notice, may I re-post on Outlander fan sites? The Breville BJE510XL is chiefly made of three main pieces that can be put together with remarkably little effort.